It’s a third generation family affair for mother-daughter brokers Kim McAuliffe Price and Erika Orbin. With backgrounds in marketing and advertising, these two share 30 years combined real estate experience, set a remarkable pace and even complete each other’s sentences! Dallas native Erika brings her first-hand knowledge of neighborhoods, communities and Dallas’ bountiful private school assortment when assisting clients. Their roots in the industry run deep as Kim’s mother pioneered the modern-day residential real estate trade in Houston in the 1970’s. 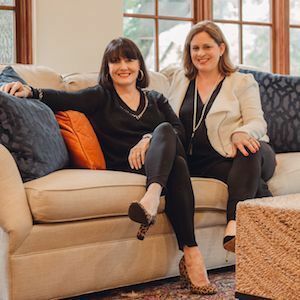 Growing up in the business taught Kim the foundations of her successful career – honesty, integrity and relationships – which she passed down to daughter Erika. Kim and Erika each bring their own style to a transaction, but the integration of their knowledge and skills makes this partnership very special indeed.